by garyd | Dec 16, 2017 | UAP Manual - 4th Ed. This is Chapter 7 of the Urban Aquaponics Manual. In the last chapter, we developed a design specification for a small recirculating aquaculture system (RAS). Now. it’s time to select the components that we’ll need for the build. Before we go too much further, I need to say that I don’t propose to provide a set of plans or a materials list for the design that we’ve produced. Just accommodating the measurement system differences from one country to another makes such an undertaking a nightmare. …so, I believe that it’s more important that I provide you with options that can accommodate your specific circumstances. My goal, by the time you ingest the contents of this Manual, is that you should be able to take the principles that I describe and apply them to the broad question of system design rather than just be able to build one specific system. Our goal is to produce clean, fresh food…so the materials from which our components are made – and any prior use that they may have had…must be safe for humans and fish. Reject any tank or vessel where you can’t be certain of what it contained before it became available to you. At this stage, we’re just looking at components. While, for the purposes of illustration, I’ve approached the design process in a linear fashion, I recommend that you read the entire manual before you start to get too set on your design. Our basic design is just that…basic! There are plenty of things that we can do to enhance the basic design and I want you to have the opportunity to consider those tweaks and bells ‘n’ whistles before you finalise your plan. That said, let’s commence our component search. The key imperative of a fish tank is its ability to facilitate the removal of solid wastes. 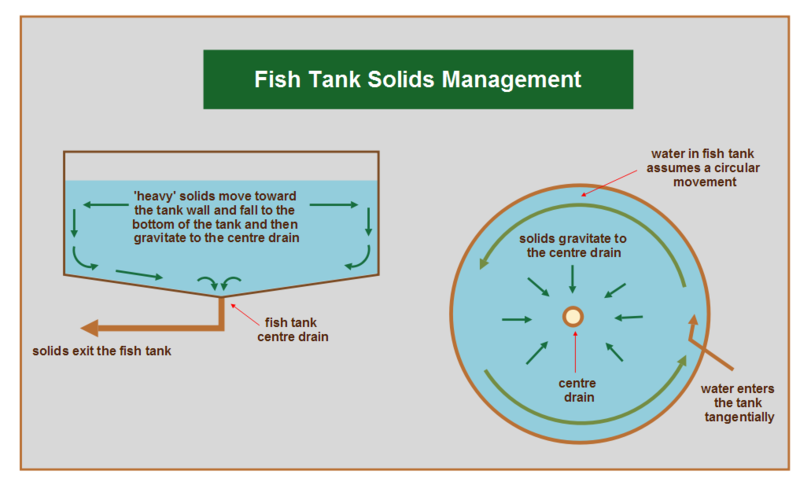 Concentrating solids within reach of the drain is the consequence of tank shape and design…and managing water movement within the fish tank. The ideal fish tank is robust, round in shape and will have a slightly sloping bottom with a centre drain at its lowest point. Water returning to a round fish tank is directed tangentially at the surface. This creates a ‘hydrocyclone effect’ – setting up a slow circular movement in the water in the tank. 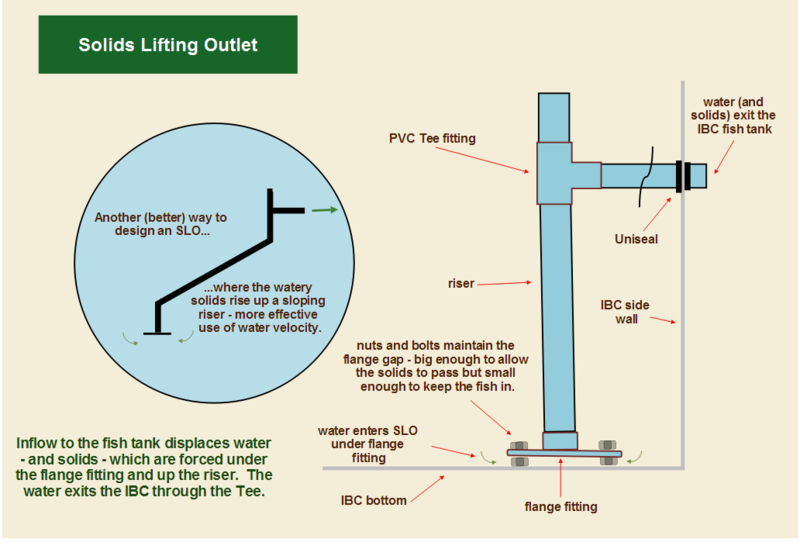 A weak centrifugal force causes heavy matter in the water (solid wastes) to move outward to the wall of the tank and to slowly spiral down to its bottom eventually moving across the tank bottom toward the drain. You can replicate this effect – on a tiny scale – by swirling the last mouthful in a tea cup while observing the dregs gathering in the centre of the bottom of the cup. Most smaller purpose-built aquaculture tanks function like this. Two 1000 litre aquaculture tanks – one of HDPE and the other of fibreglass (at right) – both on legs or feet – so that solids can be removed through the centre drain in the bottom of the tank. They are also usually quite expensive. Secondhand units may become available but, you’ll need to act quickly since they are usually in high demand from aspiring small fish farmers. 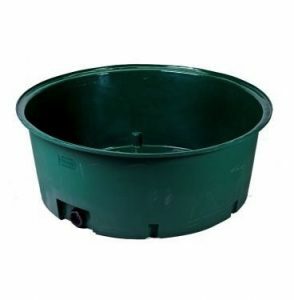 round plastic or fibreglass tanks with flat bottoms…like re-purposed rainwater tanks or large round livestock watering troughs. 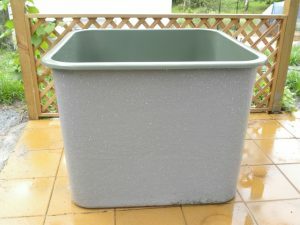 square plastic or fibreglass tanks…(preferably with rounded corners) like produce bins. The desirable circular movement to which I referred earlier can be created in round tanks with flat bottoms – and even square tanks – and we’ll cover that in more detail as we get into the construction of our system. 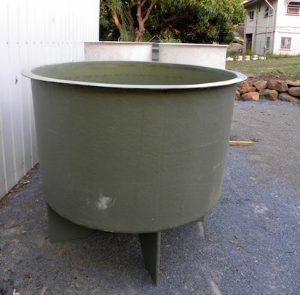 A 1000 litre fibreglass tank – looked the part but cost three times as much as the 780 litre produce bin (at right). I used successfully used these as small fish tanks for many years. Rectangular tanks are the most difficult to accommodate as fish tanks so I’d recommend that you avoid them if at all possible. While I prefer those made of food-grade, high-density polyethylene or fibreglass, people have managed to repurpose all manner of containers for use as fish tanks. Old concrete stock troughs can be used for all manner of RAS purposes. Plastic stock troughs are also robust enough for use as fish tanks – and much lighter. So long as we bear in mind the need to concentrate solid wastes so that they can be removed from the fish tank, the scope for viable do-it-yourself fish tank options is limited only by your imagination. Treated pine sleepers may be used to create robust fish tanks. Make them square rather than rectangular. The finished tank complete with liner and paint job. This situation is made possible by the existence of the food-grade low density polyethylene liner. LDPE liners are tough but flexible and can be used to line fish tanka that are built inground, on the ground and above ground. They can be used in conjuction with existing concrete, steel/aluminium or brick/masonry structures – and you can build very serviceable fish tanks from timber and/or plywood and line them to make them waterproof. 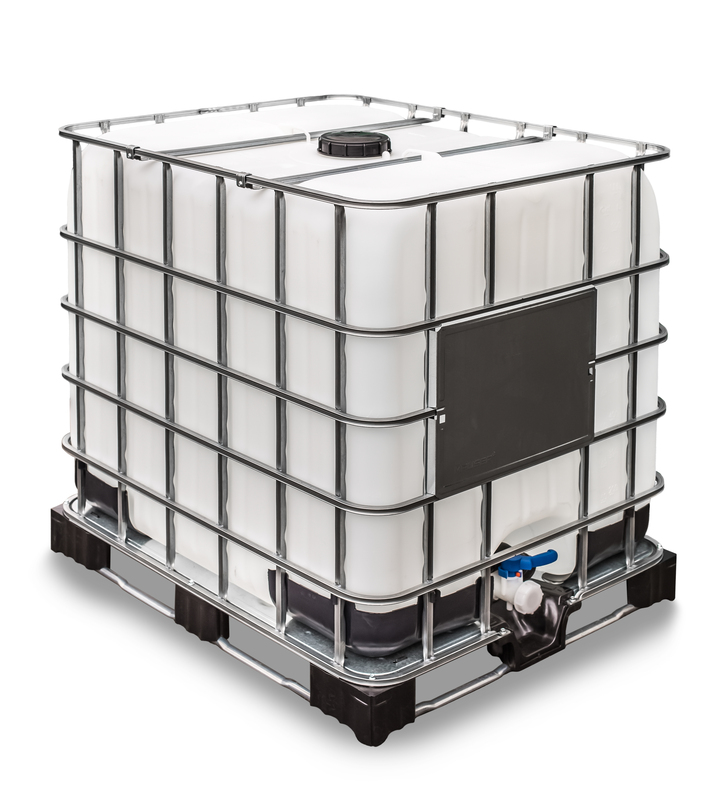 IBC’s are plastic vessels (generally with a capacity of 1000 litres or 250 US gallons) contained within a galvanised steel frame with a pallet base. Encouraging a circular flow in an IBC can be difficult and that can negatively impact solids removal. They are not fully UV-stabilised and will begin to fall apart over time. It’s hard to know what has been stored in them. They are often used as mixing tanks for herbicides and pesticides. They will always look like IBC’s. Regardless of what I say, some of you will opt to use them anyway – so, if you’re certain about their previous use and they are really cheap, I’ll do what I can to help you to address their shortcomings later in the manual. We may even experiment with putting a bit of ‘lipstick on the pig’ to make it look a little less aesthetically confronting. I’ve built filters out of all manner of off-the-shelf and recycled containers. Some worked better than others. The ones that I liked the most just happened to be those that were the easiest to clean. Not surprisingly, those that were usually the easiest to clean usually worked best…largely because a clean filter works better than a dirty one. With the exception of swirl separators, which must be round, shape doesn’t matter too much. Having said that, I have a preference for round filter tanks mainly because they are readily available in a variety of sizes and they’re relatively inexpensive. And, at the top of the list for cost and availability, is the ubiquitous recycled blue plastic barrel. 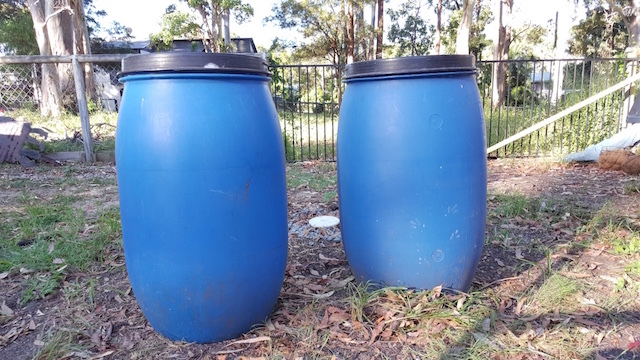 These two barrels are 130 litre (30 US gallons) – perfect for our emerging RAS design. Indeed, the only drawback of these robust vessels is the colour. That can be addressed by buying new plastic barrels (available in a range of colours at four times the price of recycled ones) – or by cladding them in something a bit more aesthetically pleasing. Water pumps are the means by which we recirculate the water through our RAS. For our purposes, they tend to be of two main types – submersible pond pumps or externally mounted centrifugal pumps. 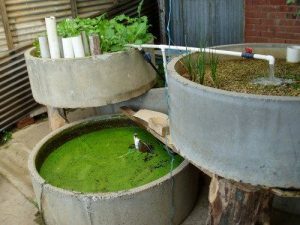 Pond pumps are cheap, very convenient to use, require minimal plumbing and are suitable for most urban aquaponics applications. The principal limitation of pond pumps is that they are best suited to low head applications. Flow rates will diminish quickly once the pumping head increases. 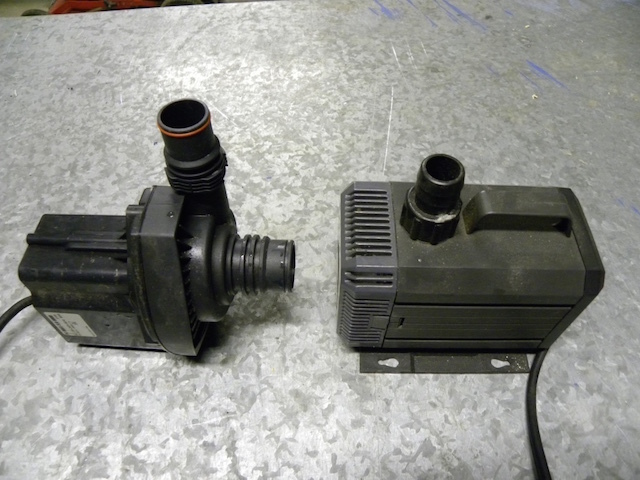 Two sumbersible pumps of the type commonly used by backyard fish farmers. The unit on the left is designed to be used as a submersible but also as an externally mounted pump if required. Externally-mounted pumps generally cost more to buy but usually move more water for a given power consumption – and they are better suited to applications where the water has to be pumped up heights of greater than a metre. Their installation is also a bit more complicated. An externally-mounted centrifugal pump – available in various sizes and usually reliable and long-lived. Depending on your application, it may pay to consider using two small pumps rather than one larger one. The benefit of multiple pumps is that, if one pump fails, the other will keep your system going long enough for you to discover the problem. This is simple risk management. Avoid the use of submersible sump pumps – they are generally not rated for continuous operation – and they can be power-hungry. It may pay to buy more pumping capacity than you need initially – to cater for the likelihood that you’ll expand your system. While independence from the electricity grid is a worthwhile goal, solar-powered pumps add a new layer of complexity to the establishment of an urban aquaponics system. Keep it simple to start with. 240-volt (or 110-volt for US readers) pumps will provide for relatively reliable and inexpensive recirculation during your formative stages as an urban fish farmer. I regard air pumps as essential equipment because low dissolved oxygen levels are the principal cause of fish deaths in small aquaponics systems. In any case, fish, plants and nitrifying bacteria all benefit from high dissolved oxygen levels. 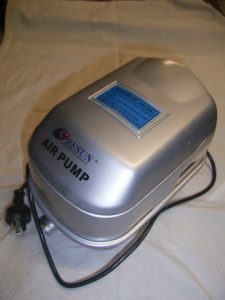 These two air pumps are typical of those used in backyard fish farming. Available in a wide range of sizes, they are quiet and generally reliable. Having said that, always keep a spare diaphragm on hand. In the event of water pump failure, good supplementary aeration may be the difference between a minor nuisance and a disaster. Air pumps are cheap insurance. We can have one larger air pump that meets all of these requirements – or we can have two (or more) air pumps to deal with specific parts of the system. Air pumps (particularly those with diaphragms) can fail at short notice so having a couple of smaller air pumps might be a useful risk management strategy. PVC pipe in the range of 25mm – 50mm (1″ – 2″) is widely used for backyard fish farming and is easy to work with. 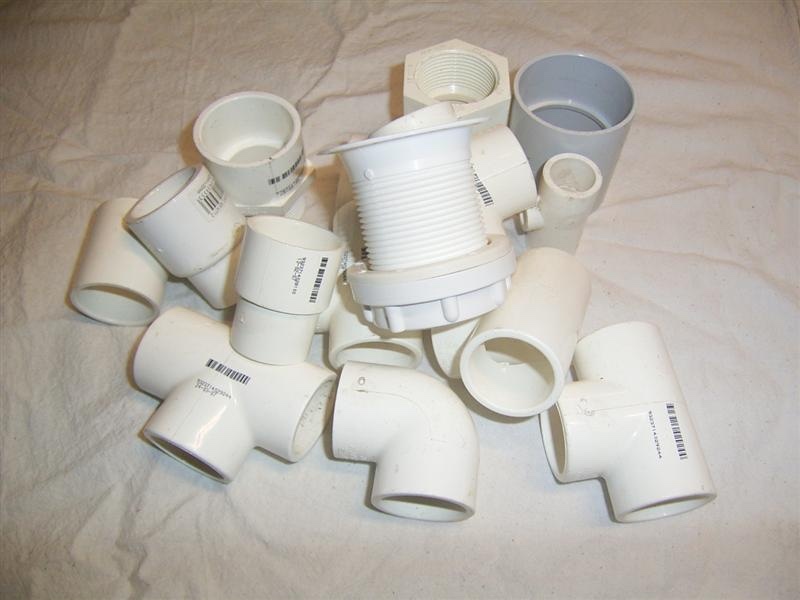 PVC pipe and fittings in our preferred size range are of two main types…pressure and drainage. The types are not compatible with each other although experimentation (and the judicious application of heat) will enable you to reconcile the types where circumstances demand it. We’ll be using 25mm (1″) PVC pressure pipe and fittings for the water supply side of our little system and 50mm (2″) for all drainage pipework. Some people like to use larger stormwater pipes and fittings on the drainage side but I’ve found that the lower water velocity of 90mm+ pipework often allows solids to settle out in the pipes – with the potential to create anaerobic zones. Control valves may be required in some situations and the two most common types in use are ball valves and slide valves. Ball valves are available from the same places that stock the PVC pipe and fittings. 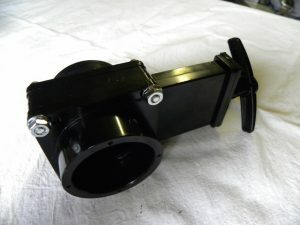 Slide valves are nicer to use, more expensive to buy and are usually only available from specialty aquarium/aquaculture suppliers. Ball valves (left) are widely available and relatively inexpensive. Slide valves are convenient to use and only available from specialist suppliers. 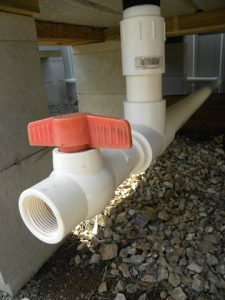 Secure connections of pipes to tanks are achieved through the use of bulkhead fittings (also known as tank outlets) Uniseals and flange fittings. Each of these has their place in RAS construction and we’ll learn more about them in the next chapter as we begin the build. One of the challenges with this chapter, was deciding what to leave out (rather than what to include). The list of gadgets that can be included in a small-scale RAS is long. What we’ve covered here will allow you to build a RAS that is productive, resilient and versatile. You can always reflect on the available bells ‘n’ whistles later – as you sit down to eat your first fish and salads. IBC – not because I like them but because (regardless of what I say) some of you are going to use them. 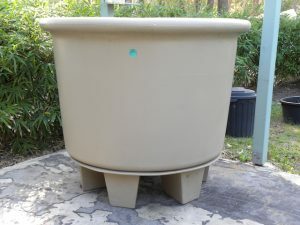 Blue barrels – I’ll use three of them to create a radial flow filter, a packed media filter and a moving bed biofilter. PVC pipe and fittings – we’ll use 25mm (1″) for the pressure pipework and 50mm (2″) for the drainage. Pump – 4500 litre submersible pond pump. 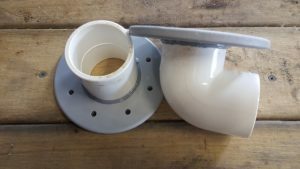 Bulkhead fittings, Uniseals and flange fittings – to hook it all together. by garyd | Dec 11, 2017 | UAP Manual - 4th Ed. This is Chapter 6 of the Urban Aquaponics Manual. We’re going to keep it simple for the purposes of this design discussion so let’s assume that we’re going to grow enough for one person to eat fish once a week…so we’ll need about 50 fish. We’ll also assume that each fish will be around 500 grams (one pound) at the time of harvest. That’s 25kg (50lbs) of fish per year. We can accommodate our 50 fish in a cubic metre…about 1000 litres (250 US gallons)…of water. Fish in recirculating aquaculture systems are most effectively fed a percentage of their bodyweight – each day. Fingerlings may be fed up to 8% of their bodyweight but that figure decreases over time to the point where they may only be getting 1% at the time of harvest. Each fish will, at the time of harvest, be around 500g and will (based on a daily feed rate of 1%) be eating 5 grams of feed per day, Fifty such fish will be eating 250 grams (0.5 pounds) per day. 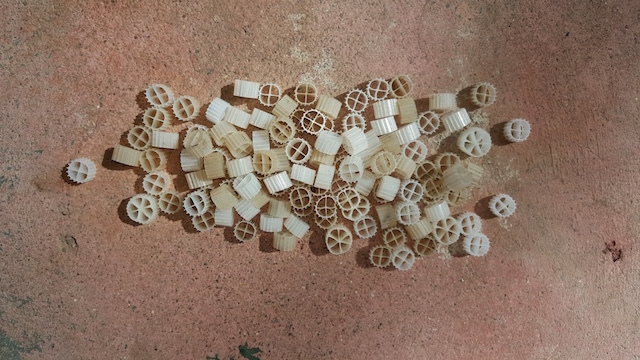 Assuming a feed conversion ratio of 1:2 – one kg of fish biomass for each 2kg of feed provided – we can expect that our 50 fish (each weighing 500g) will consume a total of 50kg of feed throughout the growing period. While it’s interesting to know how much feed we’ll use in total, the more important number, for our immediate purposes, is the maximum daily feeding rate of 250 grams…because that figure will allow us to calculate the size of the filtration system that we are going to require to deal with the metabolic wastes of our 50 fish – with a total weight of 25kg (50lbs). Back in Chapter 3 – Understanding Filtration, we looked at all manner of different mechanical and biological filtration devices. For what it’s worth, the list of filtration devices that I chose to ignore is far bigger than the one that I provided. While choice is a wonderful thing, introducing too many choices into a learning situation becomes confusing so, from this point on, I’m going to focus (based on my experience) on what I think will work best for you rather than attempting to cover every possibility. If this is all sounding pretty complex, let me assure you that, behind each of these fancy names, is a simple blue plastic barrel. It’s how we fit out each barrel that determines its function – and name. We’re going to build these filters in the next chapter so, for now, all we need to do is work out how much filter media we need. Once we know that, we’ll be able to determine the size of the barrels we’ll need. The radial flow separator contains no media so that one’s simple enough. The packed media filter is almost filled with media so that one is easy, too. That leaves us with the moving bed bio-reactor. Manufactured plastic media is very effective, is self-cleaning and will deal with a predictable solids loading so I’ll be using AnoxKaldnes K1 filter media for this design model. AnoxKaldnes K1 manufactured plastic media – excellent bio-media. The manufacturer of K1 claims that each 50 litres of media will deal with the metabolic wastes arising from the use of 750 grams (0.75kg or 1.6 pounds) of fish feed per day. That figure applies to industrial wastewater treatment and commercial aquaculture and it assumes that there is some heavy duty filtration equipment upstream of the moving bed biofilter. Our design will feature some inbuilt redundancy…so we’ll be using 50 litres of K1 to deal with the wastes from our 50 fish…based on a maximum daily feed rate of 250 grams (0.25kg or about 0.5 pound). When sizing a moving bed biofilter, I calculate the amount of media to be 60% of the total filter volume. So, if our filter was going to be, for example, 100 litres we’d use about 60 litres of media. Since we’ve already decided that we need 50 litres of media (a standard shipping volume, by the way), a 100 litre plastic barrel will suit us just fine. In fact, we’ll use three 100 litre (25 gallon) barrels to house our entire filtration module. This particular design will feature something that we haven’t spoken about previously – a sump tank. We’ll look more closely at the sump tank, what it does and its capacity in the next chapter. Now that our system has taken on a physical dimenstion, it’s time to address the two things without which no fish can live…water and oxygen. 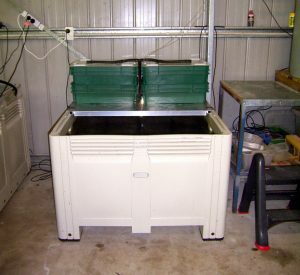 Implicit within the notion of a recirculating aquaculture system is the idea that water flows from the fish tank through the filtration modules and back into the fish tank. That flow is created by a water pump. When calculating the size of the water pump to be used in a RAS, I take the total system volume and double it. What we are looking to do here is to move the entire capacity of the system through the filtration unit twice per hour. The fish tank, filters and sump tank contain 1400 litres (around 370 US gallons). If we double that figure, we’ll be looking at a total volume of 2800 litres (or 750 US gallons). Pumps are rated in terms of the volume of water that they will pump – per hour – so that would suggest we need a pump that will move around 3000 litres/hour. For reasons that I’ll clarify as we get into the construction of this system, we are going to want a bit more than than that amount. so, for now, I’ll be proposing that our pump will have a capacity of 4000 – 5000 litres (1000 – 1250 US gallons) per hour. Our fish need oxygen..and so do the microbial organisms that facilitate nitrification. Having said that, the matter of how much oxygen we’ll need depends, to some extent, on the plants we grow – and how we grow them – since plants need oxygen, too. Suffice to say, at this stage, oxygen is as fundamental to recirculating aquaculture as water. Quite simply, without it, nothing of value to us will live. We will, however, address the matter of how much oxygen we need – and how we’ll provide it – when we get into selecting our system components. OK, let’s take a look at what we’ve got so far. raise 50 fish to a harvest weight of 450 – 500 grams (one pound) in about 30 weeks – subject to fish species. utilise a fish tank with a capacity of around 1000 litres (250 US gallons). require around 250 grams (0.5 pounds) of fish feed per day by harvest time. feature a filtration system – comprising a radial flow separator, a packed media filter and a moving bed bio-reactor – each housed a 100 litre (25 US gallon) plastic barrel. Fifty litres of AnoxKaldnes K1 (or similar) will be adequate to nitrify the metabolic wastes from the 250 grams of feed that we will feed our 50 fish by the time that they reach harvest. 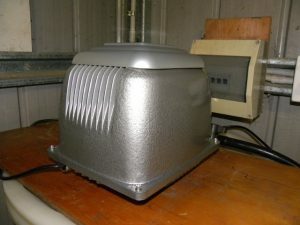 utilise a 100 litre (25 US gallon) sump tank. turn over the entire volume of the system – about 2800 litres (750 US gallons) – twice per hour. 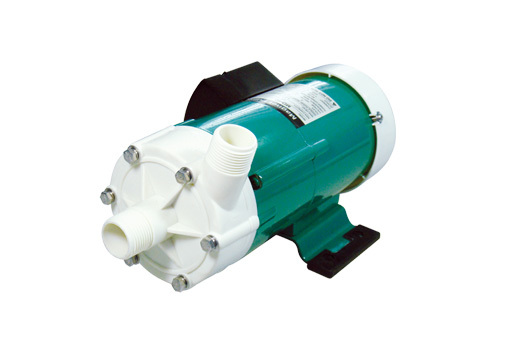 use a water pump with a capacity of 4000 – 4500 litres (1000 – 1100 US gallons) per hour. This simple schematic representation of our RAS shows the major components and the water flow path. While it doesn’t look like much yet, this little RAS will yield lots of clean, fresh fish. It will also provide some other valuable outputs – about which we’ll talk more later. OK, so what if you want/need something bigger – or smaller? The amount of fish to be produced can be doubled – or halved – by simply doubling or halving the specification numbers. Indeed, you could scale this system up to provide five times as much fish by making proportionate adjustments to those numbers. A system of that size is, for most people, on the upper limits of a family fish production unit. In that situation, my preference would be to have two (or more) smaller units rather than one larger 5000 litre system. I have good reasons for feeling this way but I’d like to address larger systems in greater detail later in the manual. In the next chapter, we’ll find ourselves something to use as a fish tank and filtration modules…and all of the other bits ‘n’ pieces that we’ll need to build our very own recirculating aquaculture system. by garyd | Dec 9, 2017 | UAP Manual - 4th Ed. This is Chapter 5 of the Urban Aquaponics Manual. In previous chapters, we looked at what recirculating aquaculture is – and how it works in a basic microbiological sense. Most importantly, we should have connected with the fundamental notion that aquaponics starts with a recirculating aquaculture system. Before we leap into the design and construction of a RAS, however, let’s take the opportunity to consider a few things that will impact your system design. Don’t allow these considerations to overwhelm you. Just have them in the back of your mind as you sit down to plan your system. Up until now, we’ve been talking about recirculating aquaculture systems. The considerations in this chapter apply equally to the RAS – and its attached growing systems. My inclusion of Health and Safety at the top of this list is deliberate. Every day, we hear of people who have been killed or seriously injured in so-called freak accidents. In truth, however, there’s usually nothing accidental about health and safety incidents (as they are more appropriately called) around aquaponics systems. They are are almost always preventable. A fish tank is no less dangerous than a swimming pool or a spa. How will you ensure that small children cannot climb into your fish tank? The ideal is to cover the tank but the least that should happen is that you should be able to exclude children and pets from the area. Electricity is an essential part of any aquaponics system but it does not suffer fools lightly. Think carefully about how you will manage prospective electrical hazards. To prevent your family from ingesting toxic substances, or to avoid poisoning your fish, you should ensure that your system components are made from safe, inert food-grade materials. If you are contemplating the use of recycled materials, you need to confirm that they have not previously been used to contain toxic substances. Manual handling is another issue that requires careful consideration, too. There’s no shortage of heavy things to lift and a hernia or a dislocated disc are a high price to pay for a momentary manual indiscretion. Manual handling injuries are not the only weight issues. A 200-litre (55 gallons) drum of water weighs around 200kg. A 1,000 litre (250 gallons) weighs a metric ton. Given the potential for injury to people (and damage to property), there’s no place for sloppy construction. Fish and plants (like everything else) grow best in a particular environment. While that environment will include water quality, dissolved oxygen levels and pH, our main environmental concern (for design purposes) is temperature. Our secondary concern, specifically for plants, is light. Temperature will impact your choice of fish species and the types of plants you can grow – and when you can grow them. The amount of natural light that is available to you will also directly impact plant production. You can control the environment in which your fish and plants grow. Indeed, you can keep warmwater fish species in the depths of a Montana winter. As a general principle, however, the further away from the optimal temperature range that you get for your preferred fish species, the more money you are going to have to spend to heat their water. Similarly, you can grow plants in a basement or warehouse that never sees sunlight but providing artificial lighting of the correct photoperiod, intensity and spectrum is going to require significant investment. A recirculating aquaculture system is a life support system. So, when sitting down to design your system, you need to undertake a bit of ‘what if’ analysis. What if the power supply is interrupted? What if the pump(s) seize? What if you experience unseasonal rainfall, wind or extremes of hot or cold? What if you had to leave your system unattended for a day – or a week? Think of every piece of pipework…and every fitting…as a prospective point of failure and design your system accordingly. If your system is to be housed in an urban backyard it will need to be reconciled with other backyard activities including entertaining, play area or pet space. Herbicides, pesticides and chemicals will kill your fish and have no place near an aquaponics system. The planet is well overdue for a respite from its most troublesome organism…humans…so cut it a break and use materials that have the lowest possible environmental impact or those that can, at least, be fully recycled. Your choice of system components should take account of their lifespan. A key question when making any investment is “How quickly do I get a return on my investment?” Your system design should provide you with clean, fresh food without breaking the bank. Once the system has been built, it will cost money to operate. Your biggest variable operating expense is the energy required to run the water and air pumps – and to heat/cool the water in the water in the fish tank – and your system should be designed to minimise these costs. The ability to empty a system and to relocate it is a distinct benefit for people who rent accommodation. The system will also retain its resale value if it can be moved relatively easily. 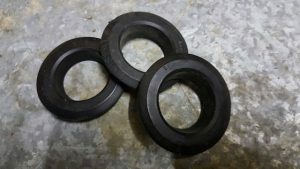 Consider the use of rubber slip joints and barrel unions to enable you to dismantle and re-assemble the components as needed. 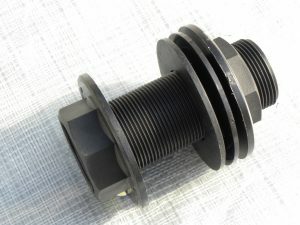 Similarly, consider quick release couplings for water hoses, air lines and electrical/data connections. Your choice of plant growing systems is particularly important if you need portability. Having tanks and growing systems at a comfortable working height is an issue for everyone but particularly for people with disabilities. Can you overcome space limitations (with a small system) by mounting some components on robust castors? Your filters will require regular cleaning. Do you have drains at the lowest points in the system to ensure that there are no places for water and organic matter to be trapped and become anaerobic? Are thermometers and digital displays located so that they are easy to read? Whether you get to engage in food production may require that you satisfy your partner that you are not going to create an eyesore in your backyard. Similarly, your neighbours may begin to take an unhealthy interest in your system if they perceive that their property values are negatively impacted by your activities. You may argue that what you do in your own backyard is your business but local government authorities will take a different view if they start receiving complaints from disaffected neighbours. A neat and tidy system is also easier to operate and keep clean. Nothing will bring the wrath of the local health inspector down on your head faster that something that stinks or attracts vermin. Still water is a breeding haven for mosquitoes and, if it contains nutrients, it can become anaerobic and will quickly produce bad odours. Managing your system in a healthy state is essential. Whirring pumps and running water might be music to your ears but could well drive a neighbouring shift worker to distraction. Locating your system out of hearing range will avoid this issue. What are the other design implications of your preferred location? Does your proposed plant growing area have enough sun? Or too much? Is your fish tank going to be located inside our outside? If outside, what is the likely effect of sun, wind and rain on your fish tank? What is your closest access point to power and water? The system design should also integrate well with other food production units. 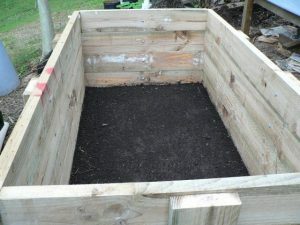 You may decide to extend your backyard self-sufficiency endeavours to include laying chickens, meat chickens, fruit and nut trees, quail, rabbits, worms and other possible integrations. You should design your system with this in mind. This implied contradiction simply suggests that choosing the optimum tank size is a question of balance – too small and you’ll become a slave to the system – too large and you’ll chew up too many resources while trying to achieve a useful result. For backyard purposes, I suggest that your first tank be of 800 to 2000 litres (200 to 500 US gallons). A system of this size will allow you to produce 15 – 50kg (30 – 100lbs) of fish per year without the need for you to become its constant companion as you juggle the production parameters. For the purposes of this discussion, this is a small system…not to be confused with the micro ‘demonstration of concept’ units that people sometimes build in their homes. 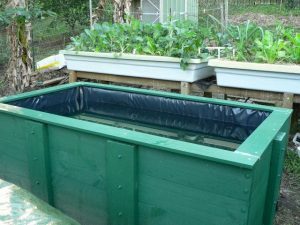 You can always increase the size of your system once you satisfy yourself that aquaponics is really for you and once you’ve had the opportunity to educate yourself properly about some of the options that are available to you. In any case, if you can’t operate a small system, you won’t be able to operate a large one. 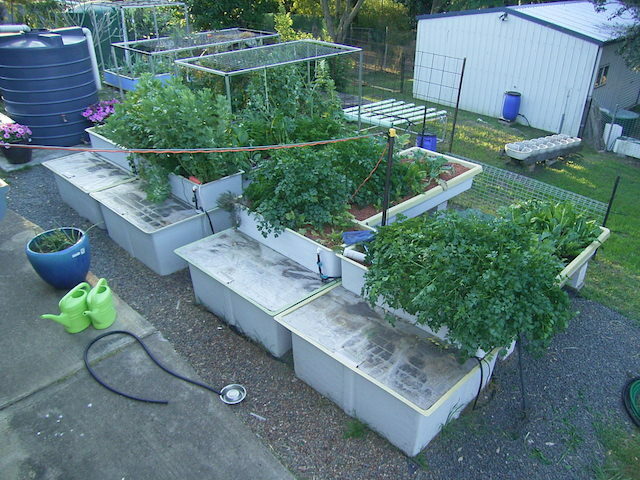 Even if you are planning a larger system, having two or more 1000 litre tanks makes more sense (particularly in an urban aquaponics context) than having one large tank. You can keep fish of different species and ages and managing risk is easier if you have several smaller tanks. Losing some of your fish might be annoying but losing all of them would be a tragedy. Smaller tanks are also easier to move about and cheaper to cover and insulate. 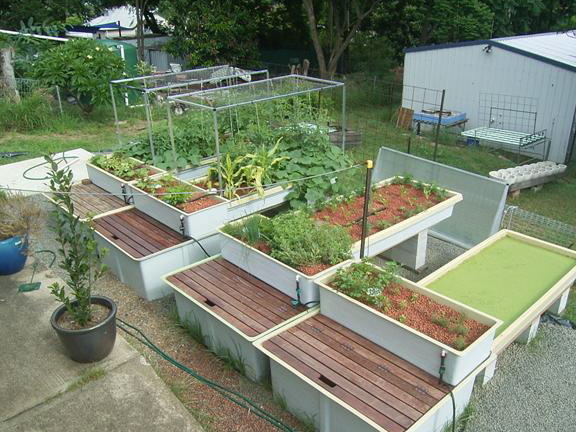 You may be thinking, by now, that designing an aquaponics system is much more complex than you previously realised. The truth of it, however, is that it’s much simpler than it sounds. In the next chapter, I’ll show you the process that I use to design a small recirculating aquaculture system.